At 6’3” and 254 lbs., redshirt sophomore defensive end Bryan Wright stands in the lower levels of the Lindner Center reminiscing about how far he’s come. A troubled past led him to the football field, where he played to escape the perilous circumstances of his hometown. A former quarterback, punter, and kicker – a jack of all trades between the yard markers. New Jersey born and raised, he grew up in Wilmington, Delaware, a state we don’t normally associate with football or sports, in general. Of course, there are always exceptions – Joe Flacco, Mike Adams, Ben Patrick, Gino Gradkowski, and Devon Still, to name a few. Bryan was led to Howard High School, where he played football and basketball. As a QB, he threw for 1,619 yards and 16 touchdowns. He ran for 541 yards and 13 touchdowns. He caught 13 passes for 161 yards and two touchdowns. He averaged 34.4 yards per punt. Just a hunch, but my money is on Wright to win a punt, pass, and kick competition at Camp Higher Ground next summer. Bryan was a three-year varsity basketball player, as well, averaging 11.3 points and 8.4 boards. He even played on Howard’s State Championship team his senior year. Clearly athletic, on the field Bryan had his act together. Off the field, he struggled in the classroom. As a result, he was not heavily recruited by colleges. Many folks in his position would have waived the white flag and turned to the streets or crime. Bryan didn’t give up. Instead, he moved himself to Matthews, North Carolina to attend Jireh Preparatory Academy. The goal? According to Wright, “to do it on his own.” To hone his football skills and learn to be a student in the classroom. The result? Out of Jireh Prep, he was ranked the #9 player in the prep school rankings and a 3-star prospect. A city guy, he fell in love with UC when he visited. He claims “it just feels like home to me.” The following year Wright enrolled at the University of Cincinnati to play defensive end and earn a four-year college degree. Wright has thoroughly enjoyed his time in Clifton. He is fitting in perfectly under Coach Fickel’s defense. During the season opener, Austin Peay was threatening to tie the score at the end of the first half. On 3rd and goal, the QB dropped back. With Bryan beginning to rush, he saw the QB’s eyes, stopped, jumped, and intercepted the ball. 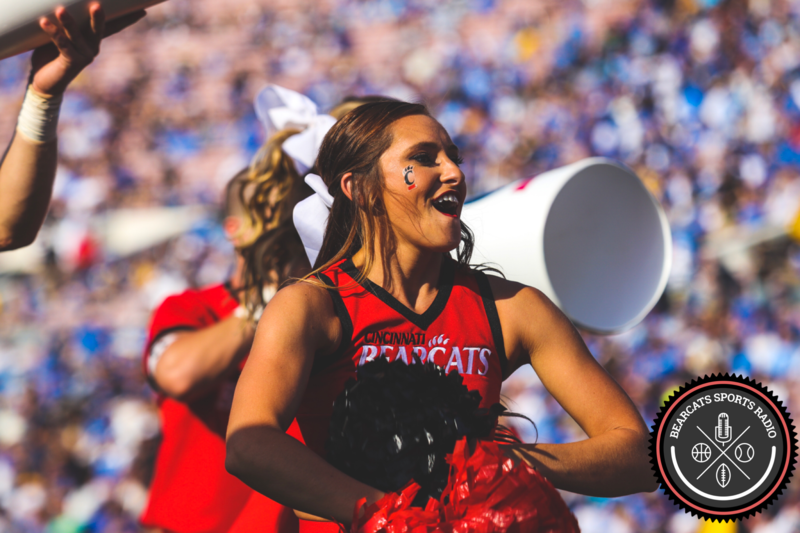 A huge momentum swing to close out the first half, leading to a Bearcat victory. He continued to impress against Michigan and Miami off the edge. Bryan mentioned “the Michigan game was the best experience he’s ever been a part of.” With the optimism surrounding the UC defense this year, Bryan Wright will be an important part of the success up front along the line. In the classroom, Wright’s journey also paid off. With a 3.0 GPA, Wright will soon earn his bachelor’s degree in health education, with a criminal justice minor. After he hangs up his cleats, he wants to become a physical trainer. He enjoys spending time with him teammates and listening to music. Bryan also claims to be the best Madden Football player now that Alex Pace graduated. This week, Wright’s whole family will make the short trip a few hours away to watch UC play Navy in Annapolis, Maryland. And strange enough, he played defense against Navy’s JV football team while in prep school. Wright knows what’s coming – “it’s all about assignment football, 11 on 11.” Maybe #95 will be the key to a Bearcats victory come Saturday at 3:30 pm.